Style Your iPhone, iPad or iPod with Personalised Printable Skins! We’ve been waiting a while for the perfect personalised accessory to go with the iPod, iPhone, iPad or even the Apple Laptops. Well, the waiting is over with the release of Style Your, a new range of printable skins designed to allow you to personalise your Apple device so it looks exactly how you want it to. Each set contains a number of printable skins and all you need to do is download the corresponding software, upload the image of your choice and print onto the skin using an inkjet printer. Simple! 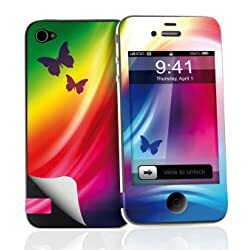 What’s even better is that Style Your have created the skins so you can upload the same image onto your iPhone or iPad as the background wallpaper, apply the skin around the screen and you have a complete picture. Use your favourite photos, artwork, landscapes, patterns, anything you like to make your device as personal as you are. 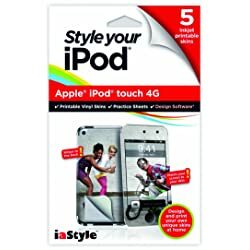 Style Your have packs for the iPhone 3G/3GS, iPhone 4/4S, iPad 2, iPod Touch 4G and Apple Laptops. Each pack contents between 3 to 5 printable sheets so you can create more than one skin. They have easy to follow instructions so you can create your skin and then attach with little fuss or hassle. 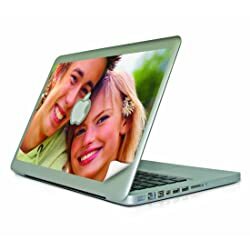 The skins are also easy to remove and leave no residue so if you get bored of one design, you can easily remove and apply another. 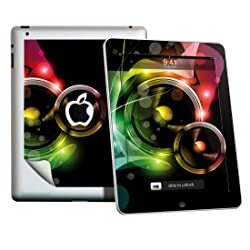 Style Your Printable Skins make the perfect gift or unique cover to use on your own device. With an ever expanding range, you can style all your Apple devices with the images of your choice, from your iPhone to your iPad and back again.